TomsHardware recently acquired an engineering sample of Intel's Core i7-4960X CPU, the processor expected to sit at the top of Intel's update of the LGA2011 platform later this year. As is their want they immediately set about benchmarking, putting it through its paces on a series of synthetic tests to assess key metrics such as Memory Bandwidth and Arithmetic performance. 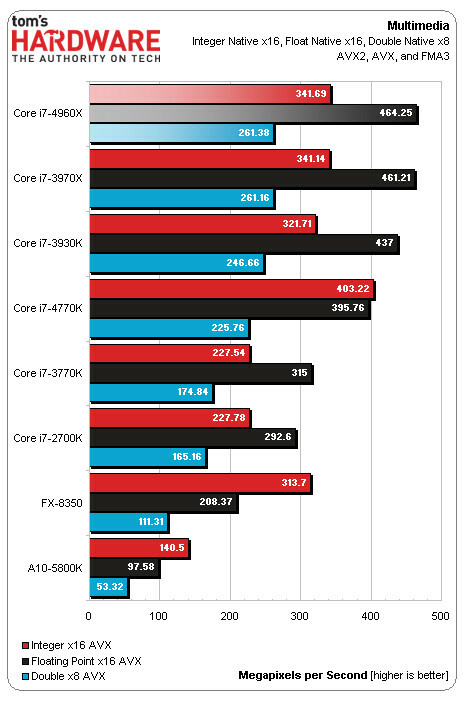 Comparing it to high-end CPUs from current and previous generations, including the i7-3970X, i7-4770K and AMD FX8350, TomsHardware's findings make for interesting reading. 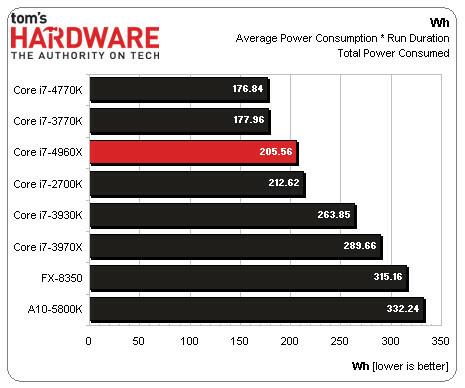 Outpacing most other CPUs by some margin, the i7-4960X surpasses the SB-E i7-3970X by only a few percent. It indicates that in terms of raw speed, at least at reference specifications, there are few differences between the current and upcoming LGA2011 CPUs unless any late optimisations are put into place. The most significant improvement is that of power consumption. Thanks to Intel's 22nm process 4960X's are significantly more power efficient than the i7-3970X it is replacing, despite the identical 130W TDP rating. Total system power consumption over the duration of the test was only 70% that of the older model, representing a development which has to be respected by anyone using workhorse applications and no-doubt of great interest to the workstation and server market considering the latest Xeon's may see similar improvements. The early look is well worth reading in its entirety. Early impressions are that it will hardly set the world alight when upgrading from an high-end SandyBridge-E CPU, but the range has yet to the fleshed out in its entirety. With the exception of power characteristics the only other headline feature is full PCI-E 3.0 compliance, which at present doesn't have a huge impact in the real world. IvyBridge-E is due for release in September.